We have bespoke Jade and Pearl collections upon special request. Our customers commission us to re-set treasured old precious stones into elegant modern designs that are lovingly gifted to the next generation. 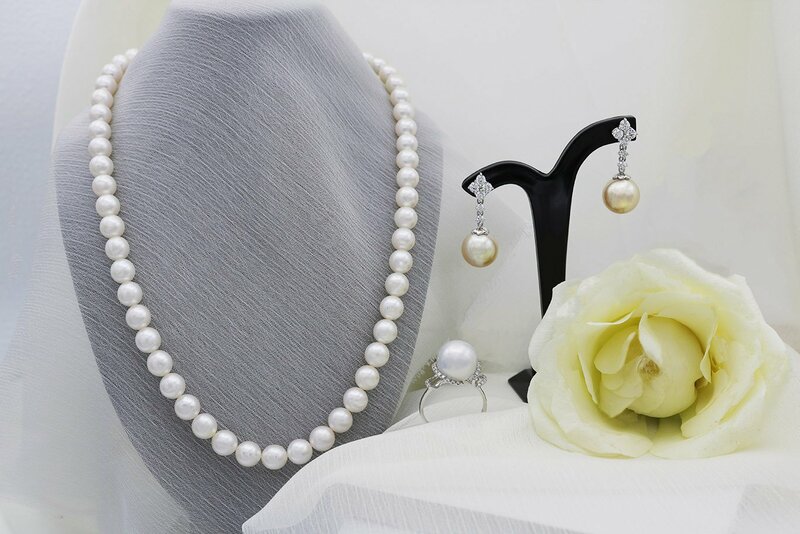 Relying on our decades of experience we also source for specific jade, diamond and precious stones for customers who wish to customize a unique piece. Commissioned by a mother for her daughter, this earring and ring set was brought to life by our hand. 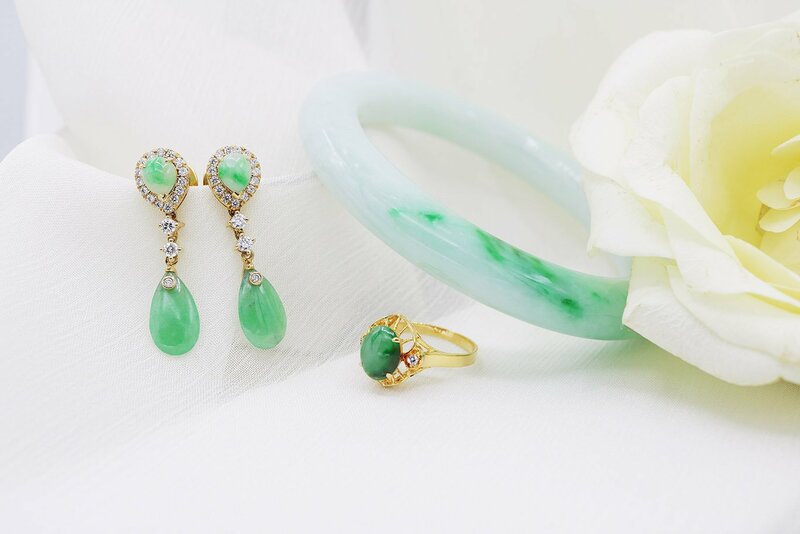 The set features Type A jadeite in a startling luminosity and texture. The exquisite jadeite tear-drops are surrounded with a circle of hand-picked diamonds to accentuate its loveliness, followed by a string of diamonds before its final flourishing finish. The ring resembles a classic Peranakan design – the bride’s wish to retain heritage in her wedding jewellery. A gorgeous jade bangle finishes the look. All jade pieces are made of Type A jadeite. Orient Jewellers upholds ourselves to top quality and deals with Type A jadeite.